Ernest Renan, a nineteenth-century French philosopher, noted, "Getting its history wrong is part of being a nation." This truth has profound implications, chief among which is that the cultural and political trajectory of a nation is determined not only by its past, but also - and to a greater extent - by the stories it tells itself about its past. The United States' founding myth rests on the idea that suppressed Americans fought for liberty against some tyrannical and foreign "other". The fact that Americans still enjoy more freedoms in practice than nearly all other citizens on the planet owes much to the good fortune that the one piece of the country's founding myth that is true happens to be the most important fact about the nation's founding: that it arose, broadly, out of a fight for liberty. Indeed, thanks to the way the Founders Constituted the nation, America became the freest and richest nation in the world in a very short time. They understood so much that even at the rate at which our civil liberties are presently being impinged upon, we are still ahead of much of the world in our everyday experience of freedom and prosperity, and the average American's deep sense of entitlement to liberty, by virtue of no more than humanity, means that the Establishment, despite its efforts to concentrate power, still has much hard and covert work to do before it can fully control the citizenry. But what about the second part of the myth - that American liberty was in some way crafted in opposition to the colonial power that it had shaken off? Not only is that wrong: it is dangerous, because believing American liberty started with our nation's founding is to remain ignorant of the very tradition of liberty on which our Founders depended when they formed these United States. The United States represent not a rejection of this liberal Anglo-tradition, but a distillation of it. This tradition of liberty, began exactly 1000 years ago this very year, in February of the year 1014, as I am sure the Founders understood very well. This year therefore is the most important political anniversary that any living American will see in his or her lifetime. 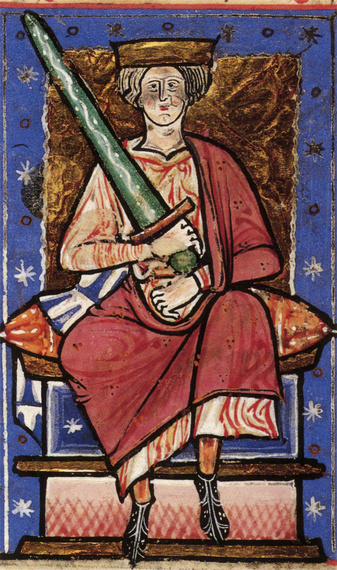 Exactly one millennium ago, Anglo-Saxon leaders invited former King Ethelred to become king again, following the death of King Sweyn, who had defeated him a few months earlier and taken the English throne. They imposed, however, certain conditions on the returning monarch, for they had grievances against him from his earlier reign, concerning high taxation and extortion for political ends. So they forced the would-be monarch to govern within rules that had been asserted previously in the interests of the citizenry and to agree that he would govern according to the will of the people. This was "established in compact, on either side", according to the Anglo-Saxon Chronicle, where, as the historian David Starkey, said, "is the text of the agreement between the king and his people. It is the Anglo-Saxon Magna Carta, but as it's 200 hundred years earlier, it is the true foundation of our political liberties". Hatton Sumners, Democratic Congressman from Texas observed at the beginning of the last century that "a straight road [that] runs from Runnymede to Philadelphia", when he explained how "our Constitution came up from a self-governing people." Runnymede is, of course, the place where the Magna Carta, was signed. That a copy of the Magna Carta sits under glass in the same room as the Constitution at the National Archives is wholly proper, and no doubt, next year, there will be significant celebrations to mark the 800th anniversary of its signing. The celebrations this year should be so much the greater: the road to Philadelphia certainly ran through Runnymede, but its true beginning was two hundred years earlier. Today, there is a movement of Americans who advocate and agitate for liberty in the face of declining representation and rising tyranny in Washington. They will struggle to succeed without the intellectual humility and curiosity to look back to those who faced, over a millennium, many of the same threats to liberty as we face today. Those historical figures who negotiated, intrigued, strategized, psychologized, disobeyed, sacrificed, politicized, or simply listened for as long as it took, not just to overcome those threats, but to do so in a way that turned the ratchet of liberty one more notch in the right direction, can teach us much of what we must learn today. As Mark Twain famously said, "history does not repeat itself - but it does rhyme". The year 1776 was the beginning of our nation, but it was not the beginning of the purpose of our nation, which is liberty under Law. In the history of that ideal, it was a great - perhaps the greatest - milestone, but one of many. In that year, newly declared Americans were heirs to a 762-year tradition that they made more sublime. Those who would keep that tradition alive today must learn its rich history - not so much of its ideas as of its political actors and their activities. Every milestone along the road from the compact of Ethelred to here arose from a messy process that has involved leaders and commoners; thinkers and actors; victims and victimizers; martyrs and heroes - all of whom have more to teach about how liberty is won in practice than can be captured by some neat theory in the mind any one of us. No single step toward freedom in this 1000-year journey was as large or simple as many in the modern liberty movement seem to be holding out for. If we are serious about saving liberty in these United States, then we must learn how it was won in practice, and, therefore, what it is in fact - rather than being satisfied with an easy myth that allows us to marvel at the beauty of the edifice but stops us from understanding its true foundation. Simply, if the purpose of America is to secure individual liberty, then America's history is the history of liberty in the Anglo tradition. So the Provisions of Oxford of 1258, which abolished absolutist rule and institutionalized permanent representation of the people, are American history, because they are part of the history of liberty . Similarly, the Petition of Right of 1628, which forbade taxation without consent or the quartering of soldiers, is American history. The Grand Remonstrance of 1641, against "subverting the fundamental laws of government" is American history. The Declaration of Breda of 1660, in which King Charles II agreed that the rights of a king exist to protect the rights of the citizens, is American history. And the Glorious Revolution and the original Bill of Rights, signed by King James II, are American history. Each of these events was a huge step in the political realization of the ideas of a Constitutional liberty (or, if you prefer, a liberal Constitution). And each feeds directly into the American Declaration of Independence, Constitution or Bill of Rights. The Founders could not have done what they did without a deep historical sensibility, and it is, therefore, no surprise that when the patriots had won this second civil war of the Anglosphere, the country that they founded was Constituted by a series of documents that drew mostly - and in critical parts, directly and even verbatim - on the Constitutional documents of the motherland, and the classical liberal philosophy that had been nurtured and realized over centuries there. Santayana may have been right when he said, "those who cannot remember the past are condemned to repeat it". But he was only telling half of the story, for those who do not learn from history are also condemned to being less able to make it - perhaps not entirely limited to bloviating but much less able to make lasting political impact. The Founders were no "armchair libertarians." It was their understanding of history that enabled them to defeat a rising tyranny and then elevate our nation in liberty. In 2014, the year that Constitutional Liberty turns 1000 years old, our task - of resisting an increasingly remote and controlling governmental power that has forgotten the tradition whose job it is to protect - is not very different from theirs. Let us celebrate this magnificent anniversary by proclaiming it in every Capitol in every state, teaching it in every school, and sticking it on the bumper of every car. Most of all, let us honor it by learning the history that our Founding Fathers knew and, like them and the many before them on whose shoulders they stood, use that knowledge to increase liberty for all Americans alive today and those yet to be born - even for a thousand years.